I am no exception. As I began reading Compared to Who? 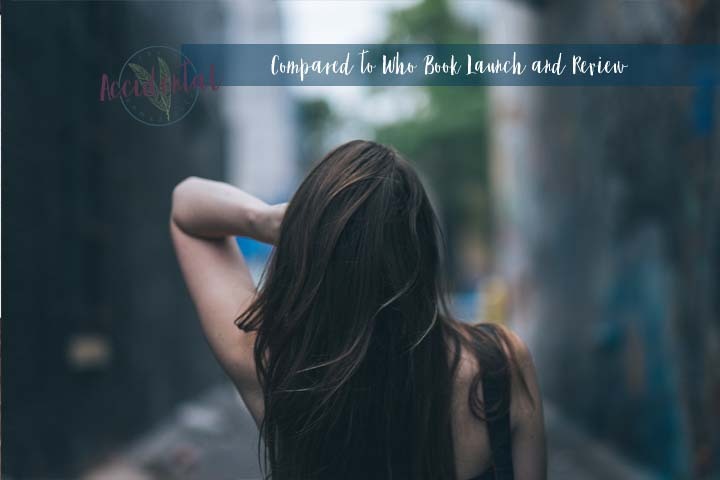 -A proven path to improve your body image- by Heather Creekmore, I began realizing just how many issues I have and have HAD with my own body image. Memories of sitting in the middle school cafeteria and kids asking me, "Is that ALL you're gonna eat, just a couple of crackers?" And then summer days of high school where I ate ALL the hot dogs and drank ALL the Mnt Dew...My own image of myself has fluctuated as much as the weather does. Even more so, after getting married and putting on weight with stress and then babies. I have been feeling almost crippled lately dreading after delivery, what my body is going to look like in the heat of summer clothes. And there's nothing I can do about that - it's what happens when you have a baby. 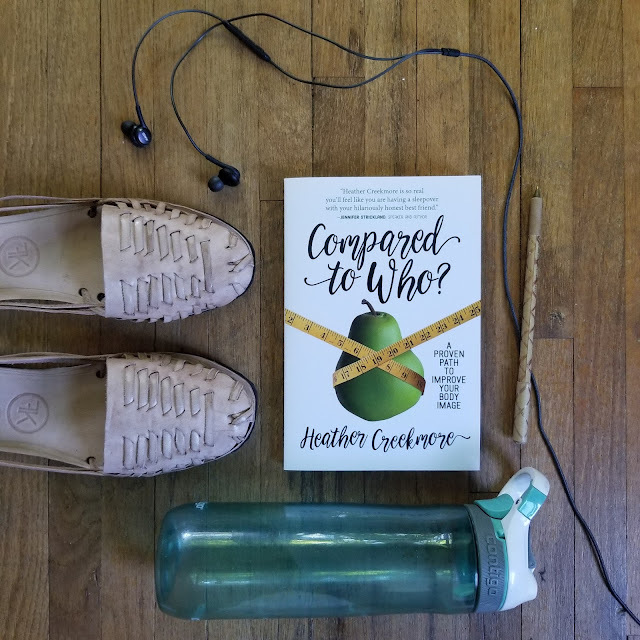 As I began reading Compared to Who (and I am still in the midst of reading, but wanted to give a before and after and maybe a during) the truths that Heather started the book with resonated so deeply with me, it really shook me to the core. "Many women believe the core of their problem is what they see in the mirror. They engage in a battle against their physical bodies because they assume if they can change their appearance, they can beat comparison and overcome their body image battle. Waging battle armed with a straightening iron, toning cream 'war paint' (aka makeup), diet books, and a personal trainer, women believe they'll win the fight. Yet it never works. Our battle isn't with our bodies, it's inside our hearts. ...It's not the standard of beauty that's the problem. It's beauty, herself - when we idolize beauty." 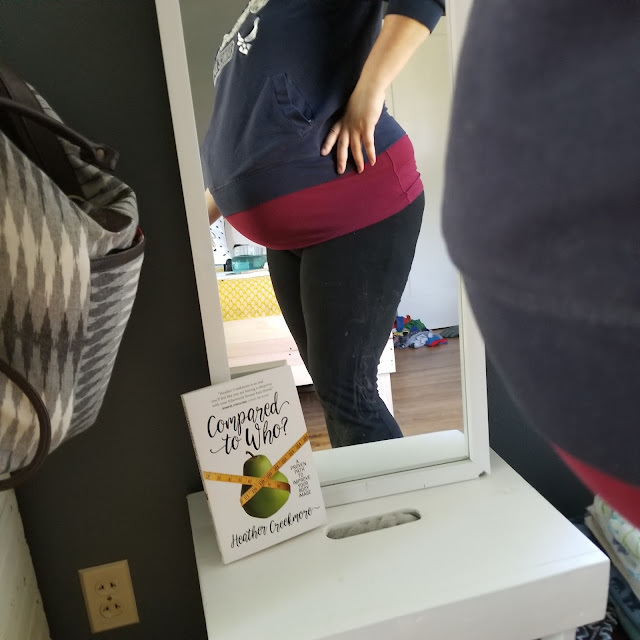 As I am diving into this book, this process of finding my own beauty, and finding acceptance for my own body in the right way, I wanted to share the deep movement that is going on inside of me so you can follow for yourself. 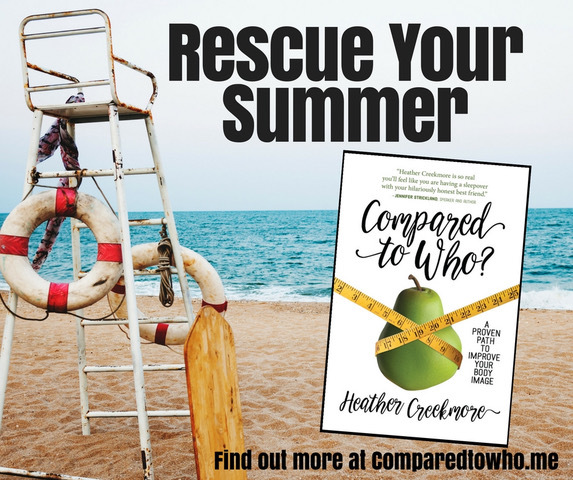 If you'd like to join me on this journey, I encourage you to purchase one (or a few) of Heather's book so you, too, can find freedom through Christ beyond the cliches of beauty. It is no coincidence that I was chosen to join Heather's launch team, and read through her book about body image and beauty - a thing that I have struggled with for years without ever attending to. As my body is changing with delivering a new little life, I hope my heart for myself will be changing with it. I have high standards for myself that may not be attainable, and I look forward to walking through Heather's steps to comparison freedom. Be sure to grab your own copy today!! !